The Nelson history begins in 1864 when Sir John Thornycroft built his first large steam launch in England on the river Thames. In 1866 his father, Thomas Thornycroft, purchased riverside ground adjacent to Chiswick Church and this was the beginning of the Church Wharf Shipbuilding Yard of John I. Thornycroft and Company. 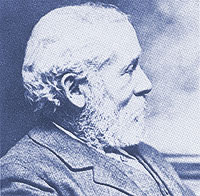 John Thornycroft made a considerable name for himself in fast launches and in 1876 built H.M.S. Lightning, the first torpedo boat for the British Navy. At the time of the shipyard's move to Southampton in 1904, Thornycroft had become established as a world wide name in fast naval craft. After the death of its founder in 1928, the company remained in the hands of the Thornycroft family until 1965, when it became part of the Vosper Thornycroft Group, and subsequently part of British Shipbuilders. Peter Thornycroft, the founder's grandson, founded the firms of Keith, Nelson & Company Ltd and T.T. Boat Designs Ltd in 1955 and 1965 respectively. In 1959, Peter Thornycroft built the first real Nelson - a wooden 29ft Nigella, designed and built for Leopold baron de Rothschild, who wished to commute at 18 knots between his home on the Beaulieu river to the Royal Yacht Squadron at Cowes. This sparked the creation of the Nelson 32 and in 1962 the all GRP-built best seller Nelson 34. The Royal Navy bought many, including two VIP launches for the Royal Yacht Britannia. 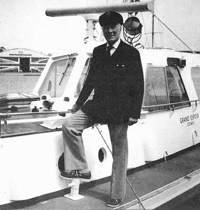 The 34ft boat was followed in 194 by the 40ft yacht Edelweiss. This fine 20 knots sea boat triggered a revolution at Trinity House. With a Nelson 40 pilots could be ferried safely from ship to shore in any weatherm doing away with expensive cutters on cruising station. 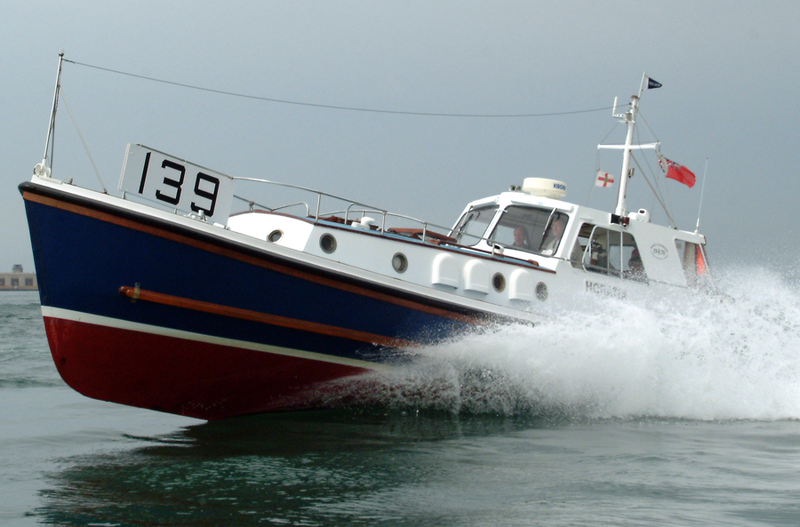 The hulls for the Nelson 40 were built by Halmatic, as were Nelson 44 pilot boats, while Tyler built Nelson 75 hulls as coastguard patrol vessels. The Dutch connection to Nelson began in 1967, when an order for a 40ft Nelson lifeboat (Komer, see article) capable of 25 knots using two 400 horse power Caterpillars was made for Mr Frowein from the Netherlands. 'Horatia', a Nelson 40' at speed. The design for the best 'semi-displacement' form was reportedly discovered by accident, when in 1958 Thornycroft noticed a wooden 23ft launch, still on the stocks, which appeared hogged aft of the skeg. It proved surprisingly fast, and Thornycrofts later designs got the same hollow in the run of the buttock lines, but starting roughly halfway down the hull. For a soft ride in head seas Thornycroft designed slack bilges forward with a deep and sharp entry, and bilges that turn very tight towards the wide stern. The hollow buttocks give a very flat run, providing lift for full planing speeds if desired. A long waterline, moderate beam, high bows and round bilges ensure excellent handling throughout the speed range. Designed for fuel efficiency and a soft ride at semi-planing speeds, Nelsons can better maintain speed in heavy weather and are vastly more comfortable on passage than chine planing powercraft.